Find out how the Chambermax TA-1 can help. 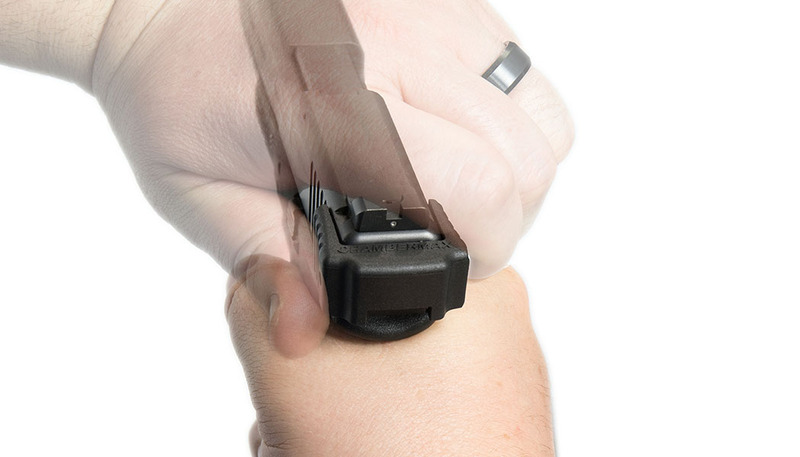 Review holster compatibility in our FAQ area. 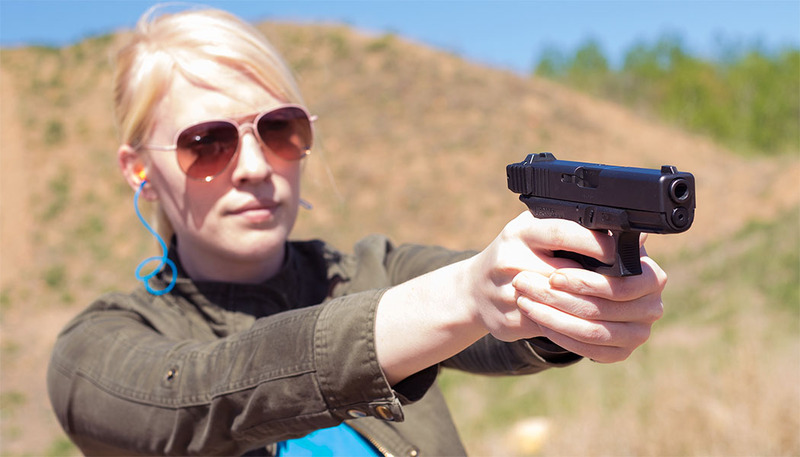 Check out the unsolicited review below of Chambermax by former officer and firearms instructor Matthew Maruster of Zenith Defense, formerly Lukos Tactical. Concerned about durability? We’re no gimmick. Watch the “hammer test” video. Our pink version is shown for clarity. 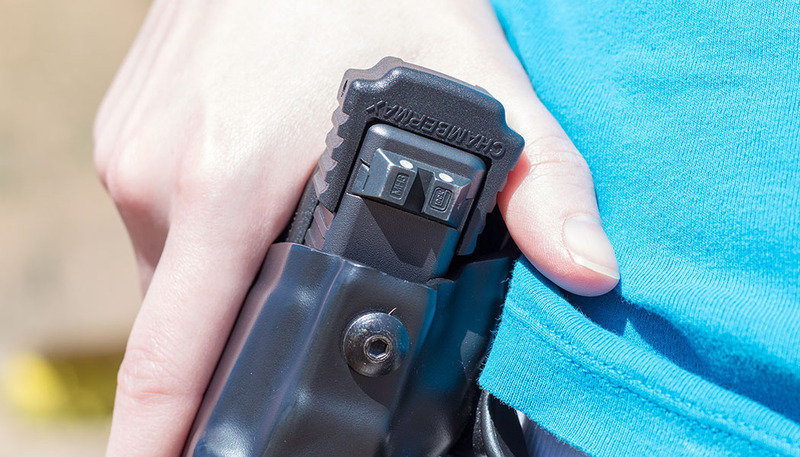 Chambermax LLC is not affiliated with ConcealedCarry.com, Zenith Defense, or Lukos Tactical. 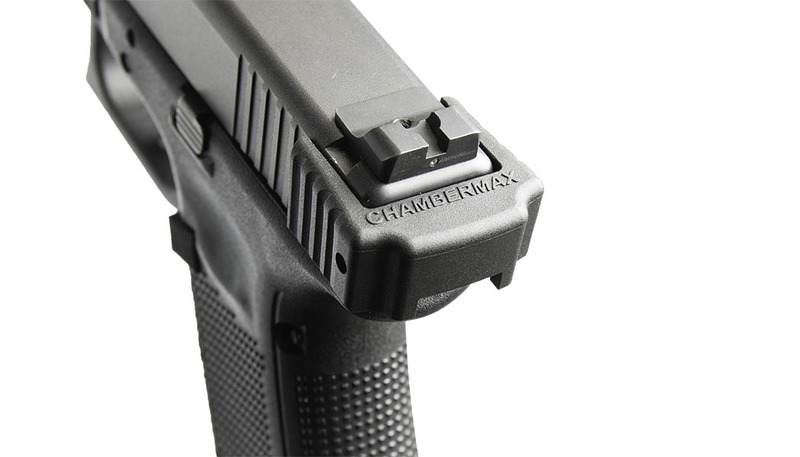 The ultimate accessory for your Glock, the patented Chambermax TA-1 adds an enhanced gripping surface at the back of the slide to improve your grip when racking (closing) the slide of the pistol. With its unique optimized wedge shape, the TA-1 helps prevent your fingers from slipping off the back of the slide when loading, unloading, and remediating a dreaded malfunction. It reduces the gripping force required from your hand to retract the slide. This is highly beneficial if you have reduced finger or hand strength or have wet or contaminated hands such as in defensive combat or a high stress situation. 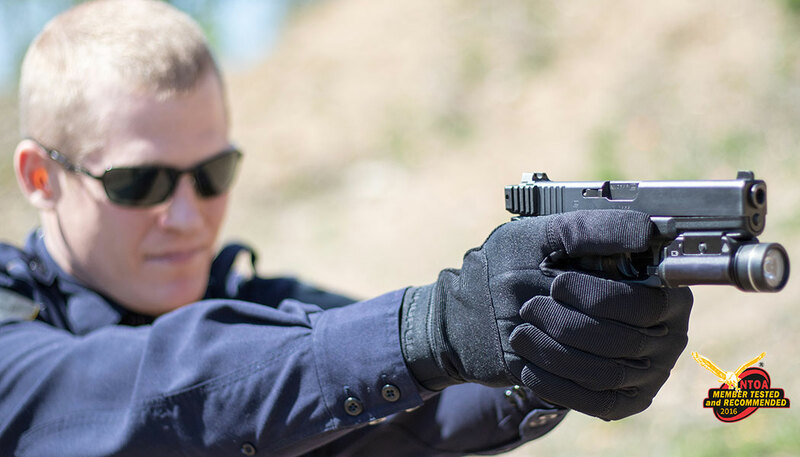 It doesn’t interfere with a proper pistol grip and promotes safer handling of the firearm by directing your hand away from the muzzle end of the pistol. The TA-1 replaces the factory slide end cap and installation is easy. Rigorously tested and maintenance free, it is ready for professional duty or the occasional sport shooter. Rigorously tested and maintenance free, it is ready for professional duty or the occasional sport shooter. 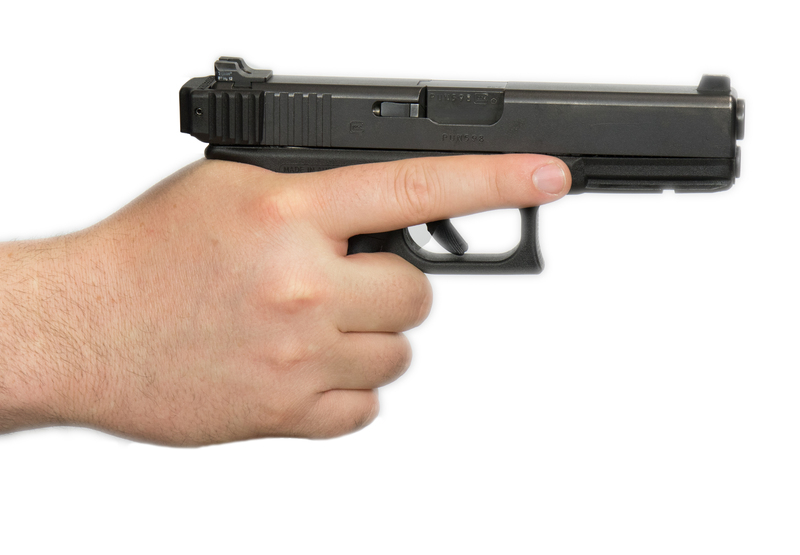 Installation is easy and will not damage your Glock. National Tactical Officers Association member tested and recommended.